﻿ University of Florida baseball player Clyde Brown outside New Gym.on campus. University of Florida baseball player Clyde Brown outside New Gym.on campus. 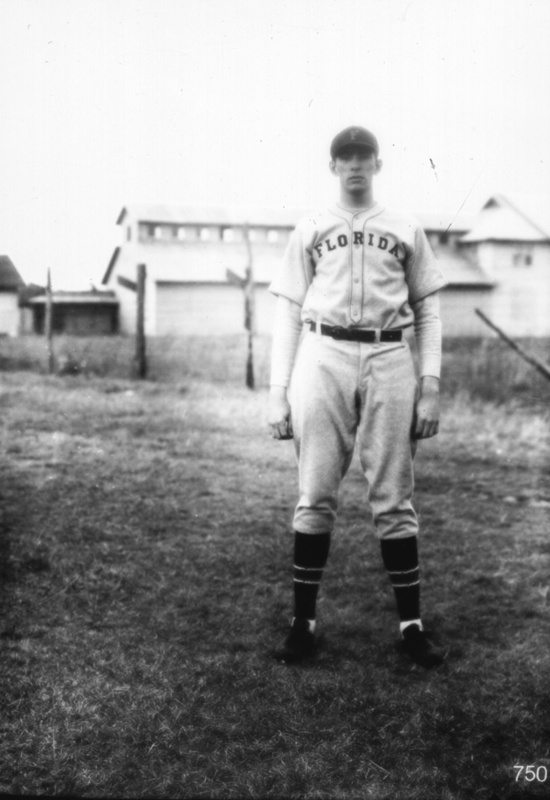 University of Florida baseball player Clyde Brown outside New Gym. In 1931 Seminole, p. 128. Photograph 750 from the University Archives Photograph Collection.